Discussion in 'News in Nigeria' started by djayz1, Oct 19, 2016. 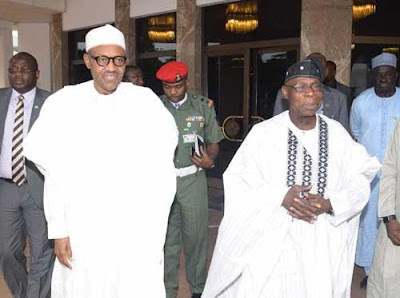 Former President Olusegun Obasanjo, yesterday said he gets really annoyed when Nigerians, particularly state governors, blame President Buhari for the various attacks being carried out by Fulani herdsmen in some parts of the country. Obasanjo expressed his displeasure when he spoke at an agriculture seminar in Abuja organised by Lift Above Poverty Organisation (LAPO), a Non-Governmental Organisation (NGO).